How do you infuse learning into your life? We are so busy with everyday work, dealing with kids while home and all exhausted to fall asleep before opening a book to read. Curious if you have tips on how to keep learning outside work with a growth mindset. I was delighted to receive this question because it’s something I think about all the time. Everyone has a different answer for “what gives you the most satisfaction in your work?” but for me learning is pretty much tops. I love the idea that no matter where I go or what I do, whether the waves are gentle or unkind, what I’ve learned stays with me forever. I find it incredibly inspiring that in one year, or five, or ten, I could be a better person than I am today — wiser, more compassionate, more skilled, capable of greater good. But to do that, I must learn. I must understand my blind spots and biases. I must spelunk the caves of the known unknowns as well as try to stumble upon the unknown unknowns. But the beautiful thing about learning is that there are lessons everywhere if we only look closely. In this way, it’s like practicing gratitude. We humans aren’t great at gratitude because we are wired to see the negative. Sometimes it takes a sudden, momentous event like a near-death experience to jolt us into realizing how much there is to be thankful for every single day. I’m starting to see learning in the same way. 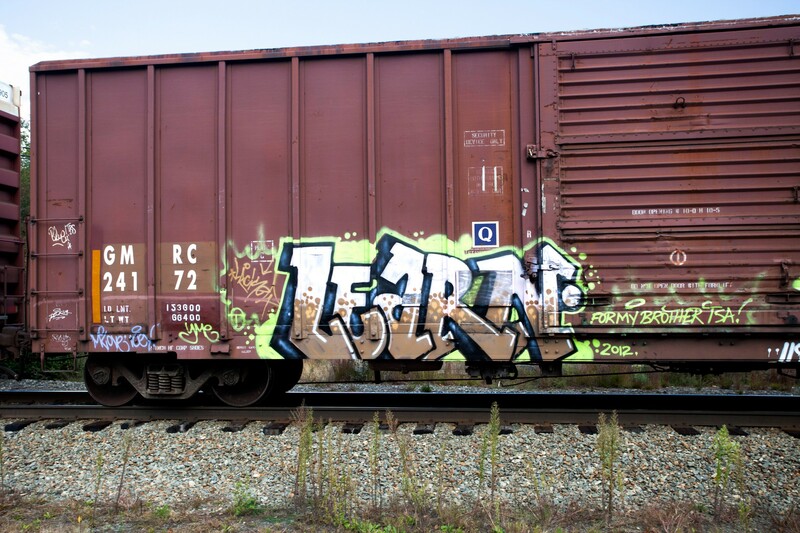 Learning doesn’t have to come from the big, momentous things: books, lectures, formal instructions. Learning can come from anywhere. The question is: how attuned are we to picking up those lessons? Here are my three takeaways on how to best continue learning even when life is hectic. This is the most reliable and frequent source of learning, in my opinion. Everyone has strengths, and no matter who you meet, they all have something they can teach you. One way to look at this is to ask, “What skills or experience does this person have that are stronger than mine?” or “What qualities do I admire about this person?” Note that this is different than asking “Do I admire or like this person?” The answer to the latter can be “No” but you can still take away something from your interactions with them. For example, I learned some of my most valuable lessons in persuasion from someone who I could never be friends with. There is another hugely valuable learning that you get from others: they can help you better understand and improve yourself through feedback. If there is a secret sauce to self-improvement, it’s this: ask for feedback all the time. The beauty of this tactic is that anybody can do it. It doesn’t cost you any money, and it doesn’t depend on special circumstances. The only hurdle you need to overcome is yourself — can you remember to ask for feedback frequently? Can you be humble and self-aware enough to do so? Can you hear the feedback with an open mind and then incorporate that into your day-to-day? These things aren’t easy, but if you care about learning and approaching things with a growth mindset, getting more feedback is the rocket-ship path to improvement. Reading is truly one of the greatest sources of learning there is. And today, with better access than ever before thanks to the Internet, we can read to inhabit the shining minds of millions and learn about topics we would never otherwise encounter in our day-to-day. But, you don’t have to read just books. You can read articles, magazines, blogs (or watch videos, which isn’t “reading” per se but can fulfill the same purpose.) The key thing is to to be intentional with what you spend time reading (or watching), even if it’s just for 10 minutes a day (this is enough, in my experience, to pick up something useful). I used to read tons of articles in my social media feed before I realized I usually ended up not remembering anything useful because I was skimming too quickly. Nowadays, I am choosier about which publications and types of articles I read — I’m less worried about being “caught up” and I spend more time with content that I hope will expand my thinking. I’ve also come to realize that the value from reading doesn’t come from quantity. I used to think it was way better to read twenty books than two. Now, I think what matters most is how much you retain. It’s a shame how many thousands of books I’ve completed that I can’t really tell you very much about. Nowadays, when I come across a book that pushes my thinking, I slow down. I highlight passages and take notes. Even before I’ve finished the book, I’m usually re-reading old passages to try and make sure I’ve internalized the lessons. For this reason, it can take me a long time to finish a book. (Sapiens took me three months; Made to Stick took me over a year.) Last year, I only read a handful of books, but each one had a much greater impact on my worldview. Related to the above, in order to better retain the lessons, I spend a lot of time reflecting. I keep journals about what I’ve learned every month. I make lists of “my top lessons on X”. I jot down goals and check in on those goals twice a year. Studies show that writing and reflecting helps you learn more deeply. It’s also well-proven that teaching is an effective learning tool. This is a big reason why I started my blog, and why I continue to write weekly. If writing’s not your thing though, you can also get this benefit through habits like telling a friend or significant other what happened to you the other day that made you realize something new, or explaining to them what you’ve been reading. Have a wonderful week of new learning. To ask a question or follow along with more articles like this, subscribe to The Looking Glass.